Can You Make Facial Hair Stop Growing? While having facial hair is normal for a man, it can be unsettling when anything more than peach fuzz shows up on a woman. Unwanted facial hair is called hirsutism, which results in excess hair on the face and body and tends to predominantly affect women. Hormone levels are usually the primary cause of this condition, and it is through the regulation of these hormones that you can stop facial hair from growing out of control. Request a prescription for a drug to block certain hormones. Ask you doctor for a drug that suppresses androgens, which are primarily responsible for excess hair growth. Drugs such as spironolactone and oral contraceptives can help block androgen production and slow down facial hair growth. Follow a diet that keeps your weight under control, because being overweight may increase hair growth Eat a well-balanced diet filled with fresh fruits, vegetables, lean protein and whole grains. 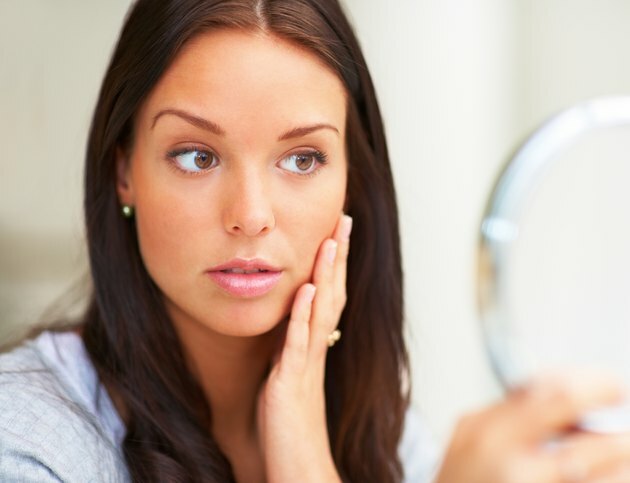 Undergo an electrolysis treatment to remove the hair on your face. Consult with a dermatologist about the procedure, which involves the use of an electrified needle to disrupt hair growth in the follicles. Over time, this will cause your hair follicles to die and no new hair will grow there.